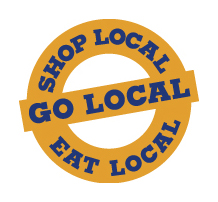 There are so many benefits to shopping on Main Street and spending your money in a locally owned shop. When you shop local, between two and four more times money is generated for the local economy, compared to spending money at a nationally owned store. That is because local businesses tend to use other locally owned businesses for capital investment and professional services, such as accounting and bookkeeping, printing and web design, advertising, as well as building maintenance, renovation and repair, thus recycling money back into the community. Because they are run by residents of the immediate communities, local businesses have a natural interest in Cape Cod’s long term health, and therefore they make significant investments in the community. They are the greatest supporters of local charities, schools, teams, and community events and fundraisers. On average, local businesses give three times the amount to a local community than national businesses. Main Street has a huge number of family-run businesses as well. Each one tells a story about their unique vision and passion for hard work and community. Without these local businesses the Cape would not only lose part of what makes it so unique and attractive to visitors, but it would also lose the economic backbone of the community. By supporting local businesses, not only can the Hyannis and Cape Cod community survive, it can thrive. Shopping locally also lures people to a community. A growing body of economic research shows that in an increasingly homogenized world, entrepreneurs and skilled workers are more likely to invest and settle in communities that preserve their one-of-a-kind businesses and distinctive character. Hyannis Main Street has a distinct small town, yet urban, atmosphere with a wide variety of shops to offer to locals, tourists and visitors. Main Street visitors can enjoy shopping at one of many clothing stores that all offer different and unique items to shoppers. 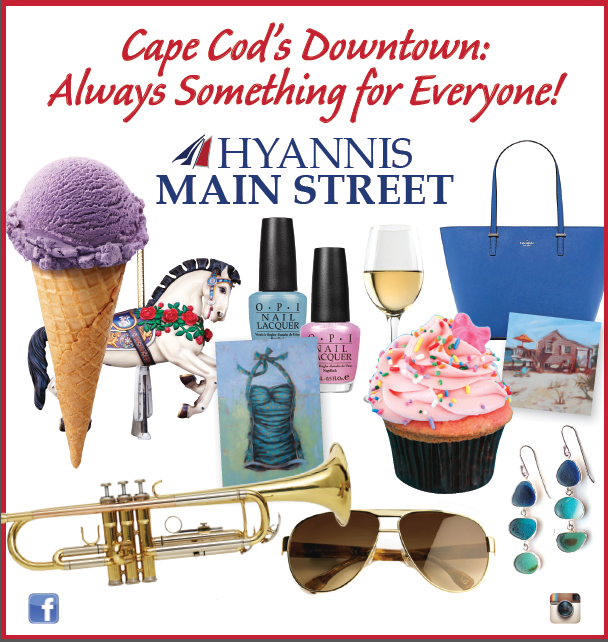 Main Street has beauty salons, spas, jewelry stores and fitness centers to keep our shoppers looking their best. Do your banking on Main Street, stop by our Post Office, or shop for household & hardware items. Our numerous specialty shops offer items from traditional Cape Cod clothing & souvenirs to cute and interesting items for home décor. Hyannis Main Street has convenience stores, churches and places of worship and several museums, including the renowned JFK Museum. Head down to the marina and take a boat tour to explore the Hyannis and Cape Cod area. Main Street offers recreational activities with our bowling alley, drum shop and our new upscale billiards club. Hyannis Main Street is also an Arts & Culture District, where you can view works by local and well-known artists at the various galleries and studios.